2016 marked the end of the Belgh Brasse Brewery construction and expansion, which greatly improved its production capacity . An investment of $ 11 million has been carefully used to allow the brewery to meet the growing demand for its beers throughout all North America. 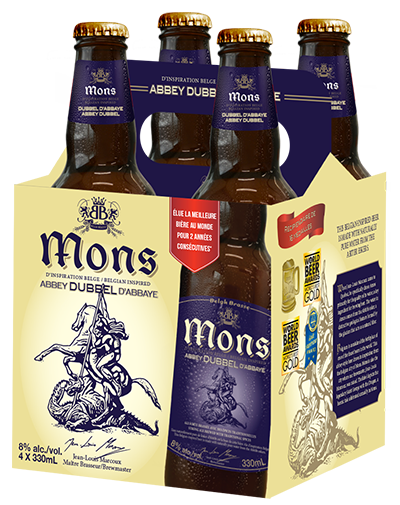 Belgh Brasse Brewery is proud to present the new MONS ABBEY QUADRUPEL. This beer is produced using a blend of Pilsen, Munich and Pale Ale malts brewed with Styrian Golding hops for bitterness, Tettnanger and Polaris for aromas and water naturally purified by the Abitibi Esker. 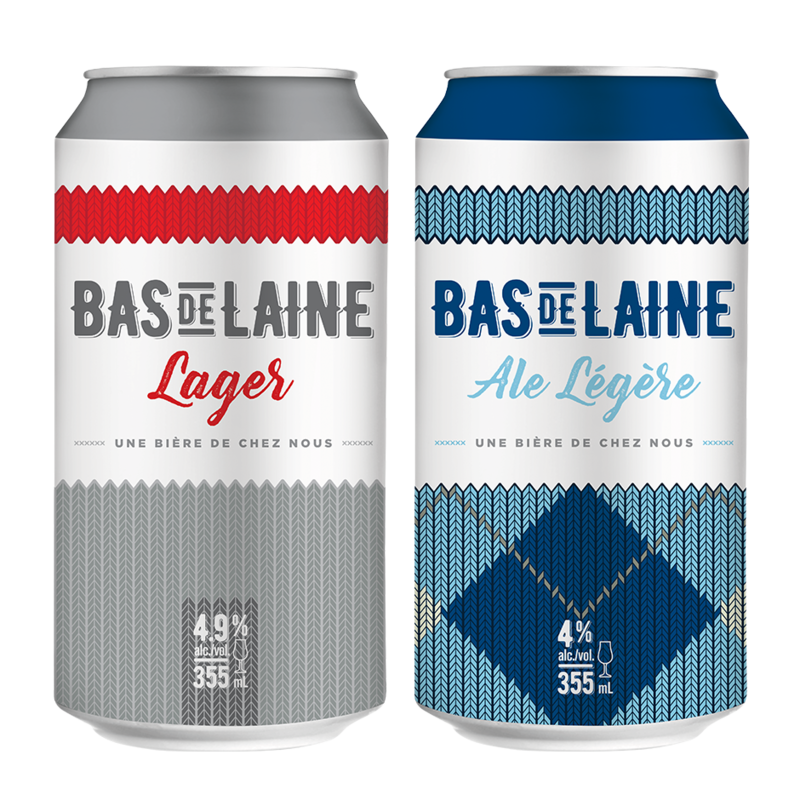 The new Bas de Laine beers are available exclusively at the SAQ. Warning: Do not tumble dry. 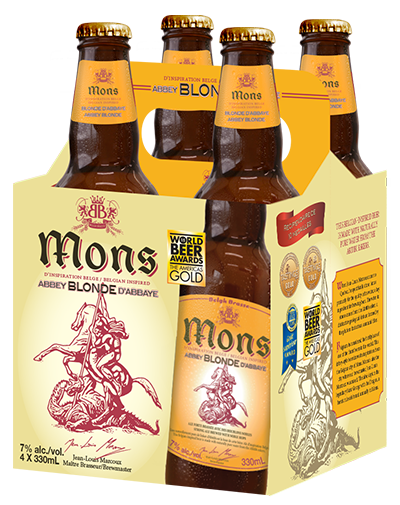 Made with a blend of malt which include Pale Ale and is also made with Syrian Golding and Tettnanger and Abitibi honey . At the nose, you will find notes of caramel, buckwheat honey and white fruits . A very complex nose with subtle hints of smoke. On the palate, you will discover notes of honey and fruit with a side of grilled bread. The finish is long with pleasant notes of fruits. This beer is brewed with passion and devotion to time-honored Belgian tradition from a blend of Pilsen, Munich and Carafa malts, with Styrian Golding hops for bitterness and Hallertau Hersbrücker hops for aroma, finished with spices, such as licorice, anise and bitter orange peel. At the nose, notes of caramel and buckwheat honey with white fruits are perceived. A very complex nose with subtle hints of smoke. On the palate, there are notes of honey and fruit with a side of grilled bread. The finish is long with pleasant notes of fruits. This beer is brewed with passion and devotion to time-honored Belgian tradition from a blend of Pilsen, Munich and Carafa malts, with Styrian Golding hops for bitterness and Hallertau Hersbrucker hops for aroma, finished with spices, such as licorice, anise and bitter orange peel. At the nose, notes of wheat, coriander and bitter orange are perceived. Scents of white flowers and clover honey are also reflected. In the mouth, we find a reminder of the nose with the wheat and spices. At the end, the notes of orange predominate for a final with good persistence. 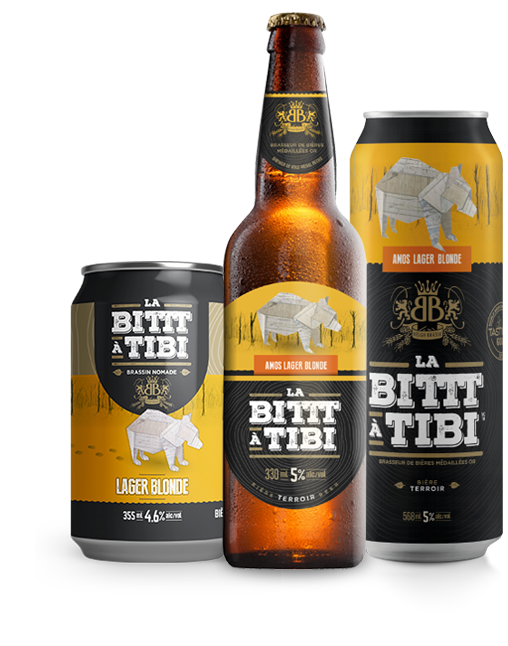 Launched in 2017, La Bittt à Tibi Lager Blonde is already one of the most popular microbrewery beers in “La Belle Province”. 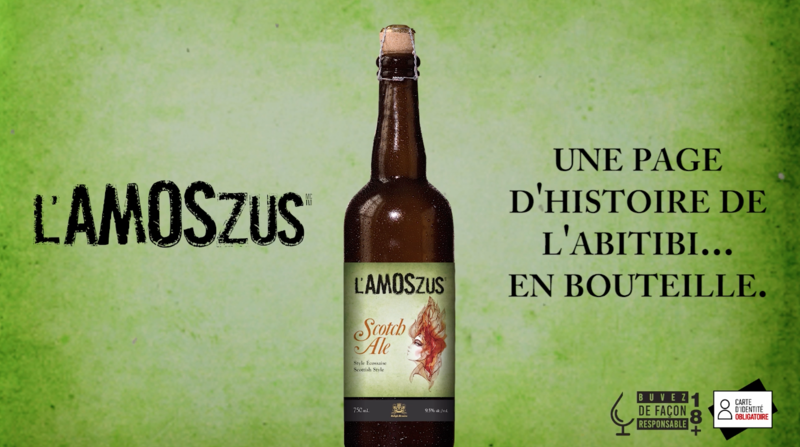 It has been voted by the public as one of the three official beers of the Fête nationale in Quebec city. 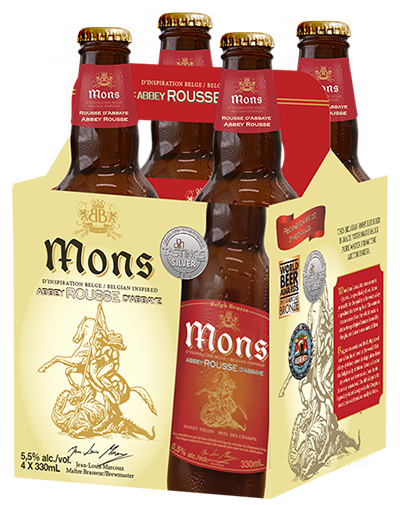 This is quite an achievement for Jean-Louis Marcoux, brewmaster of Belgh Brasse, the world-renowned brewery based in Amos, Abitibi, and famous for its range of Belgian beers: Mons Abbey Ales. Here, he creates a smooth, low-fermented classic lager brewed with American Cascade hops. It’s colour reminds us of the Abitibi Gold Belt while its taste is refreshing like the northern winds. 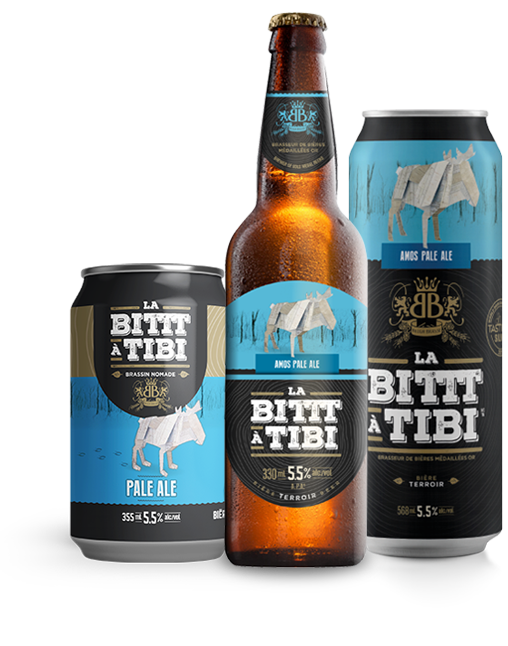 Over the last year, La Bittt à Tibi Amos Blonde Lager has won several international awards, starting with a gold medal at the US Open Beer Championships. It’s the best American lager according to American judges! Serve at 6 ° C in high ball glasses. To stand out from other Pale Ales on the market, it takes a beer that has some flair! That’s the idea that drove Jean-Louis Marcoux, brewmaster of the Belgh Brasse d’Amos brewery, to create La Bittt à Tibi Amos Pale Ale. Simply delicious, this elegant amber-coloured beer is brewed with the typical Columbus, Centennial and Summit hops. Its high fermentation gives it just the right amount of bitterness. Lovers of Pale Ale, add it to your hunting trophies! “La Bittt à Tibi” is Quebec singer and poet Raôul Duguay’s most famous song. This popular artist distinguished himself in the province of Quebec by giving new life to Quebec’s traditional folklore music. Inspired by his creative energy, brewmaster Jean-Louis Marcoux has come up with a reinterpretation of the Bavarian Kristallweizenbier. A true work of art, this delicious beer is one of a kind. It is finely carbonated, with exceptional clarity thanks to a gentle fermentation that distinguishes it from other white, often cloudy wheat beer. 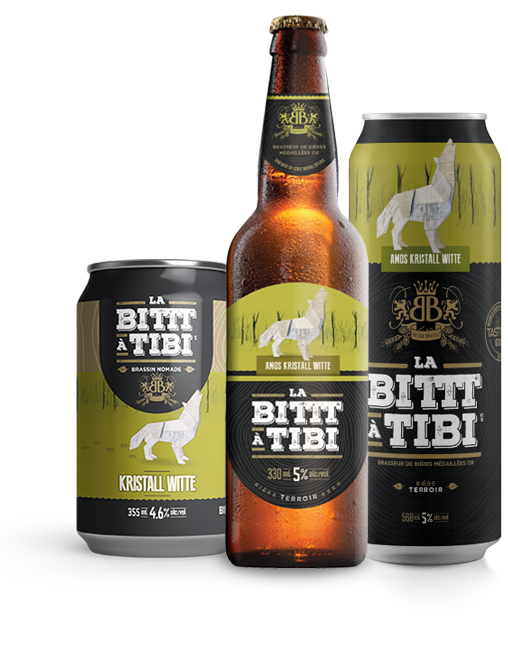 If you are an adventurous nature, enjoy La Bittt à Tibi Kristall Witte. Made with a blend of Pilsen, Munich and Carafa malt, with Styrian Golding hops for bitterness and Hallertau Herbrucker hops for aroma. 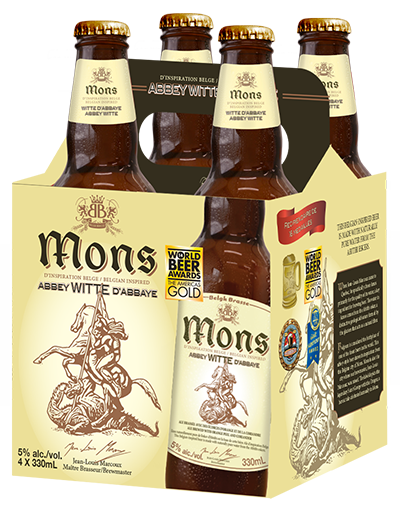 A white beer with coriander and banana flavors, fresh and light. Share you moments with Belgh Brasse. Do you have questions on our products?